Posted February 28th, 2017 by phelberg & filed under Blog. Heartsick over the presidential election, heartsick for all the Americans who feel targeted by a president who doesn’t see humanity in all people, who sees Others who are Less Than, I needed to take some sort of immediate action. I felt a gap between myself and the people who have more reasons to be fearful of this new administration than I. To understand my fellow Americans better, I posted a note to my larger writing group and sent an email to some reader friends: I need book recommendations, fiction or non-fiction, about other people’s experiences living in America. By other, I mean other than me (white, straight, middle class) in any combination. The more recently published the better. Nothing 20th century unless the book is so good you must recommend it. Thank you. In a perfect world, we would go out into our communities and engage with other people to learn about their experiences and concerns living in America. We would travel around the country or attend a diverse college or at least take classes that exposed us to a variety of people and ideas. I’m an introvert—seeking out strangers to converse with is not going to happen. But instead of doing nothing, I’m reading books. The best written books make you feel like you are in a room with the author or the main characters, in their minds, in their skin, sharing their experiences. Everyone, thanks to the public library system, has access to books. Read to begin, or to deepen, your understanding of others, to create empathy, to see connections. America is diverse and that will not be changing. Knowing each other better will create respect and harmony in our neighborhoods, in our towns, and in our country. Americanah by Chimamanda Ngozi Adichie, a novel about a Nigerian woman, set in Nigeria, and America where she writes a blog: Various Observations About American Blacks (Those Formerly Known as Negroes) by a Non-American Black. Inside Out and Back Again, a free verse novel by Thanhha Lai, inspired by her childhood experience of fleeing Vietnam after the fall of Saigon and immigrating to Alabama. The publisher recommends this book for eight- to twelve-year olds, but based on the book’s ability to distill another’s life experience, it should be required reading for everyone, young and old. The Glass Castle by Jeannette Walls, a memoir about a white family and the unconventional, poverty-stricken upbringing Walls and her siblings had at the hands of their deeply dysfunctional parents. The Girl in the Tangerine Scarf, a novel by Mohja Kahf, about a Syrian girl transplanted to the American Midwest in the 1970s. Hillbilly Elegy: A Memoir of a Family and Culture in Crisis by J.D. Vance. Five Thousand Brothers-in-law: Love in Angola Prison, a memoir by Shannon Hager, about a largely ignored population in Amerika. Juliet Takes a Breath, young adult fiction by Gaby Rivera, dealing with queer, latinx and social justice themes. An Uncomplicated Life: A Father’s Memoir of His Exceptional Daughter, Paul Daugherty’s love letter to his daughter who has Down syndrome. Between the World and Me by Ta-Nehisi Coates. There are gaps in my reading list, and the diversity of human beings will always make that true. But help me lessen those gaps: in the comments below please give me your book suggestions. 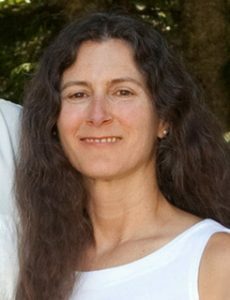 Laura Rink writes most days—short stories, essays, journal entries, sentences. She is currently working on a memoir, writing with authentic curiosity to find out how who she was has influenced who she has become. Her website LauraRink.com features an occasional blog and a picture of her calico cat. Laura, I’m reading your post again and want to thank your for sharing your quest for greater understanding, post-election, and also for providing us with a list of books you’ve found useful. We each have our own way of dealing with the current unpredictable political challenges and reading is often a re-energizing choice. Brava for you! Great column. I would be happy to lend you my copy of Daugherty’s book. You might also consider Uncovered by Leah Lax, and Strangers In Their Own Land by Arlie Russell Hochschild. Laura, thanks for putting my book Five Thousand Brothers-in-Law; Love in Angola Prison on your reading list. I hope you like it and I’d like to know what you think when you get done reading it. Getting started is always the problem. I’m glad you know yourself well enough to know where to start. And what a great beginning you have made. What I learned from the Buddhist monks I have met in my life is this: many people believe that to improve the world, you have to go out and improve somebody else; but improving ourselves is equally valuable because it gives us the proper attitude, knowledge, and tone needed to reach out and inspire others. You have inspired me. Thank you! Trying to be more zen, it’s a progression. Thank you, Jean, for the kind words and encouragement. I will be open. Connection is important. Thanks, Laura. I read an article/review about Hillbilly Elegy: A Memoir of a Family and Culture in Crisis by J.D. Vance. Now that you’ve reminded me the title and author, I will get in line to get it. About a toxic subculture that has developed over time and now the folks don’t now how to escape it. Also, you might be surprised, Laura, to find you have ability to initiate conversation with strangers, after all. Be open to the idea. Your own writerly, close observations can provide low-risk openings in the moment. Thanks. Round House was good. Great reading list. Like you, I study different worlds through books (and films). Also a coping mechanism in these difficult times. Stay strong!